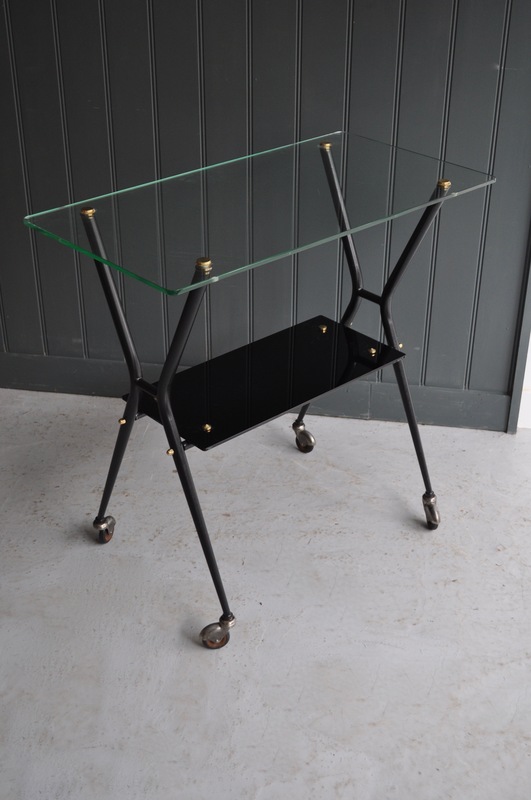 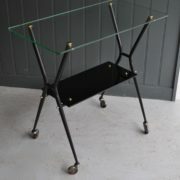 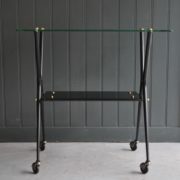 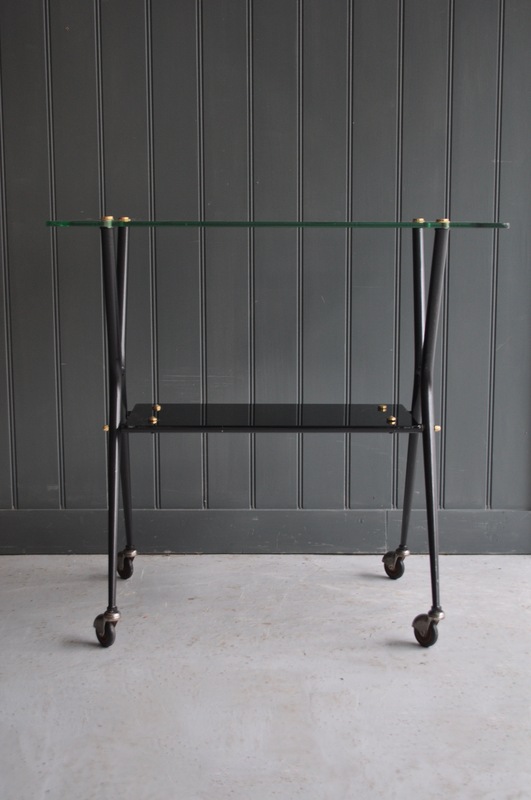 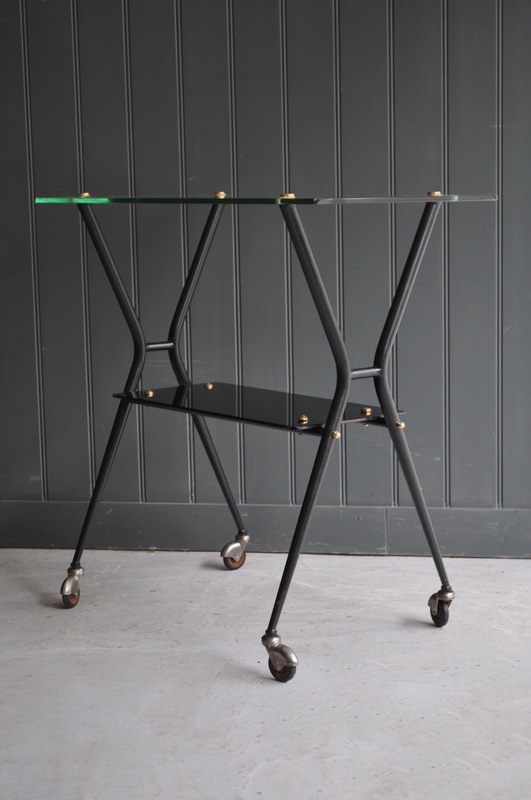 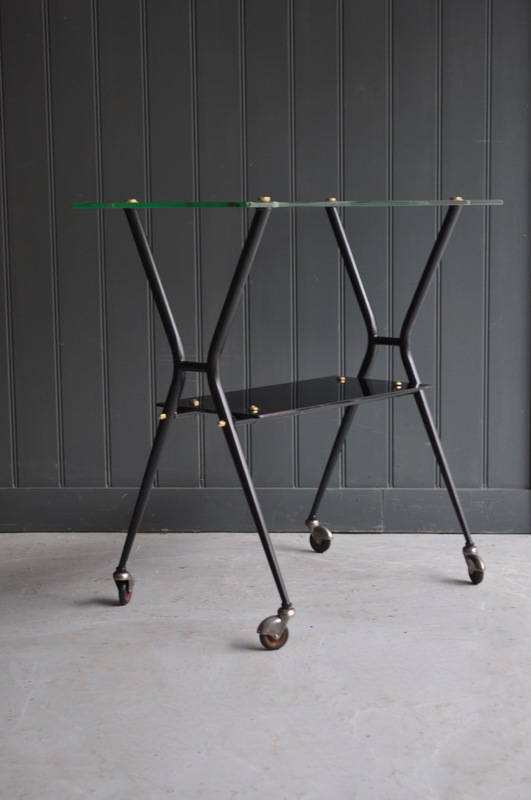 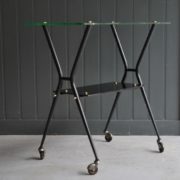 Stylish Italian side table with glass top and black vitrolite shelf below. 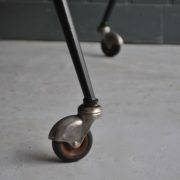 A lovely taper to the legs, and four original castors. 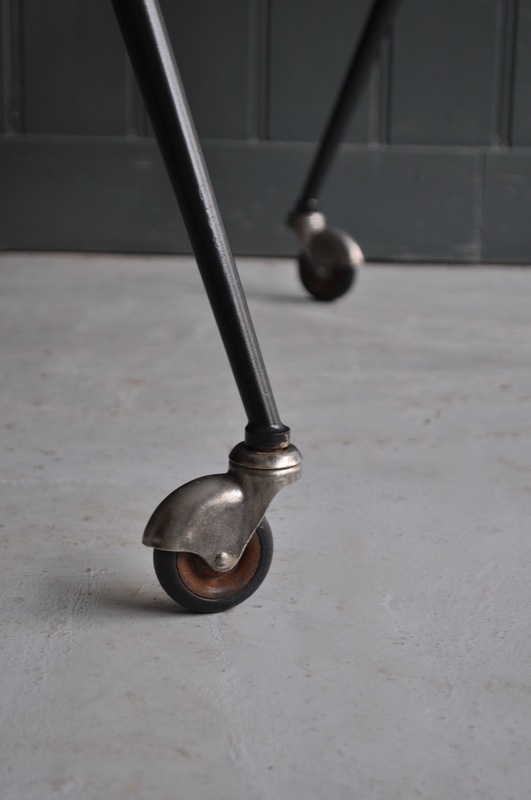 Just the lightest of wear in keeping with age.